"Everett was part of the program 'Where It's At,' hosted by Chris Denning. Everett would manage to record a few brief conversations with John, Paul and Ringo throughout the evening. Clips from Everett's recording would be used for a special edition of the program the next afternoon -- featuring a sneak preview of select tracks from the not-yet-released album, intercut with Everett's brief interview segments from the night before." PAUL: (introducing the opening of the program) "This is Paul McCartney saying 'This is where Chris Denning's at.' This is where it's at, Chris. Take it!" JOHN: (introducing the title track, in hushed announcer voice) "We're sitting in the hushed semi-circular theatre, and waiting for the Seargent Pepper's Lonely Hearts Club Band to come on. (suddenly louder, excitedly) And here they come now playing the first number, ah let's go! (pauses, then to Kenny) Alright? I can't do it for 'em all or I'll be dizzy." KENNY: "Well, by George, in the studio we have old Ringo Starr of The Beatles fame. 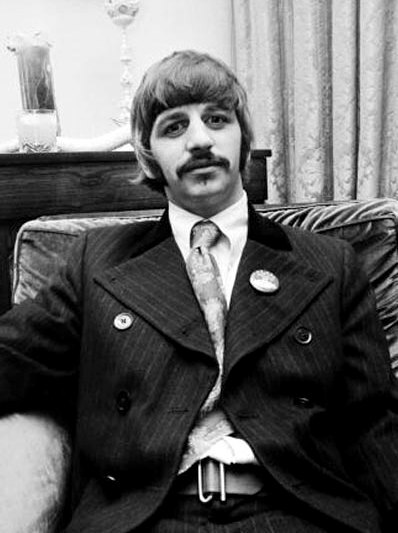 Ringo, what have you been doing since I last saw you in America a year ago?" 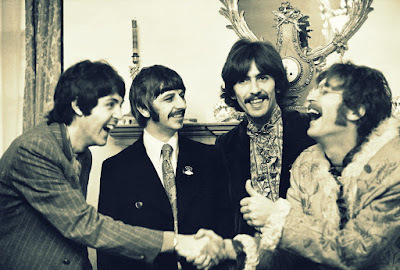 RINGO: (laughs) "Uhh, well, I went on holiday... We made an LP... We've made a few more tracks, so we've been busy." KENNY: "What do you think of this new LP? It's a bit strange compared to the others. Would you term it 'Psycho-Deeelic'?" RINGO: "Only if you want to think of it as psycho-deeelic." JOHN: "Now we'd like to play you one. It's a sad little song. (pause) Where's it gone?" 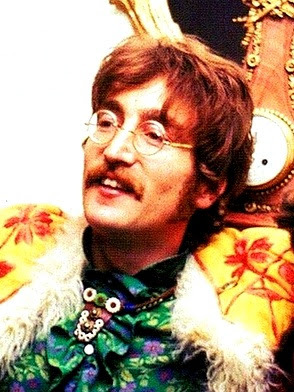 JOHN: "Oh, this is it, yeah. Picture yourself on an old-fashioned elephant. Lucy in the sky for everyone, now." KENNY: (regarding the effects used in the studio) "How long would you say... you got into technical details like phasing?" JOHN: (excitedly) "Oh, phasing is GREAT!" JOHN: "Double-flanging, we call it. Now there you go, right? We're on the same thing. Flanging is great. We're always doing it." KENNY: "You used it on 'Lucy In The Sky'..."
JOHN: (giggling) "You name the one it isn't on! You know, you name it!" JOHN: (giggling) "You spot it, you get a prize! You get a Sgt. Pepper badge!" KENNY: (jokingly) "I'll pick a moustache." KENNY: "How many takes did you usually do on this album before you got the perfect take?" 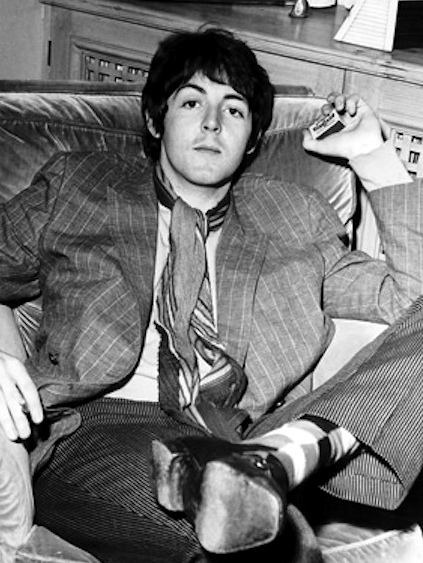 PAUL: "We did quite a few on each one. But, uhh, it's just 'cuz it's changed, you know. 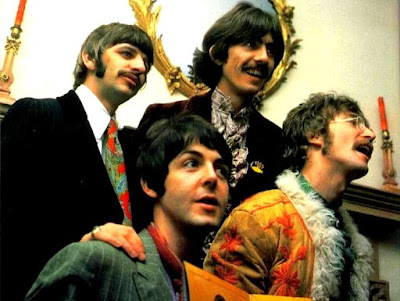 In the old days of the LP 'Please Please Me,' we went in and did it in a day, 'cuz we knew all the numbers and we'd rehearsed them and done 'em. We'd been playing them for about a year. But nowadays we just take a song in, and all we've got is the chords on the guitar, and the words and the tune. So we've got to work out how to arrange it, and that. So we do a lot of takes on each one." KENNY: "Do you like to have a lot of people in the studio when you're recording, or do you like to do it completely alone?" PAUL: "It doesn't matter. We had a lot of people on some of the tracks, and sometimes we use 'em, you know, and ask them to clap, and that. Depends if it's good people who don't hassle anyone and don't try and mess the session up. Then it's great, you know, 'cuz it's good company." KENNY: "I hear you had the Rolling Stones in this session." PAUL: "They came down 'cuz we had a lot of people there, you know, 'cuz it was a big session and we wanted to make a happening happen. (giggles) And it happened."